Specially designed for maintenance dredging in ports, now and in the near future. 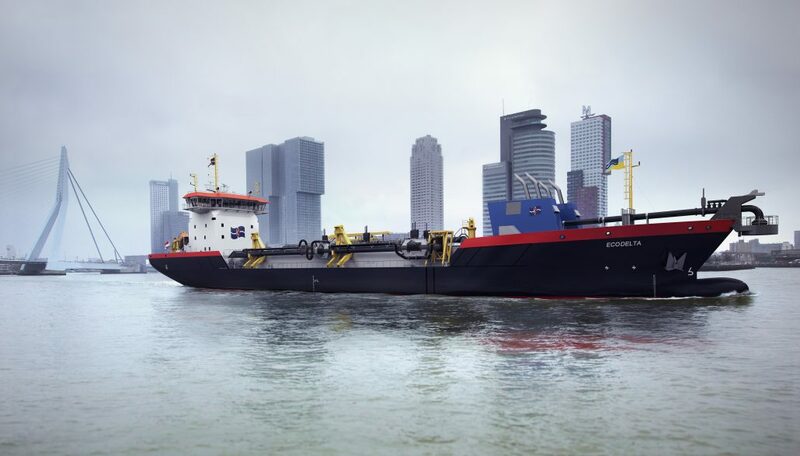 Conoship International B.V. from the Netherlands designs an innovative Trailing Suction Hopper Dredger with a capacity of 5,500 m3 for dredging company Van der Kamp B.V. from the Netherlands. 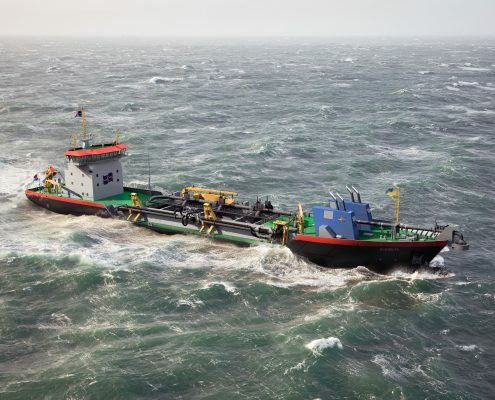 The main purpose of this dredger, that incorporates an LNG tank of approx. 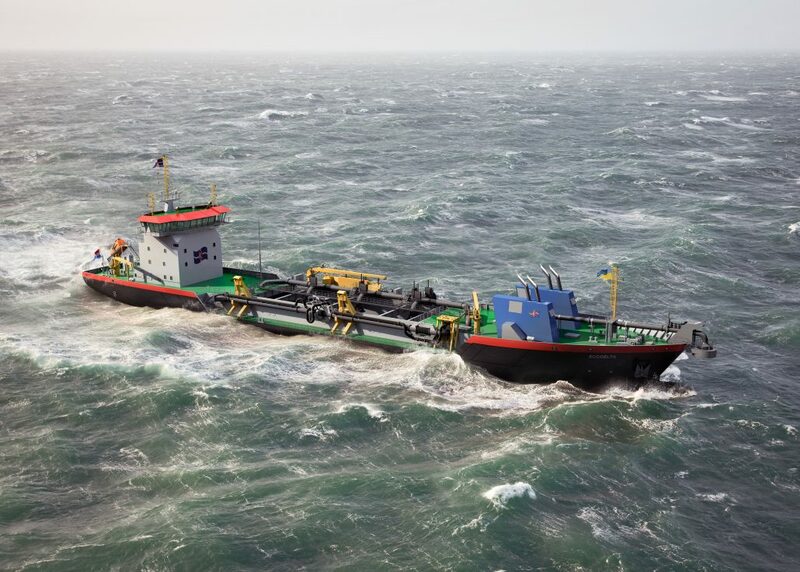 300 m3 and four Dual Fuel LNG main engines, will be maintenance dredging in ports like Rotterdam. Conoship provides design, engineering and system integration services, for the new vessel that will also be fitted with special equipment for cleaning up accidental oil-spills in the area she serves. By application of innovative LNG technology, the vessel already fulfills the upcoming regulations for emission reductions that will enter into force in 2020. 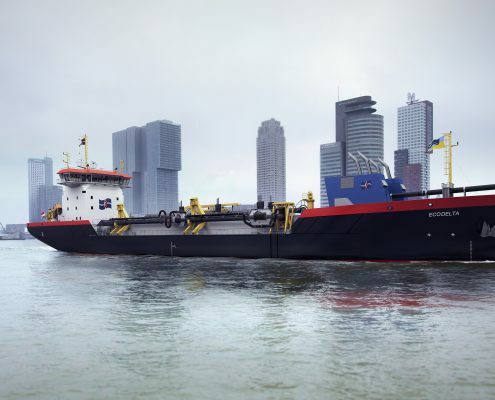 Dredging company Van der Kamp has a long history in maintenance dredging, f.e. with the TSHD ‘Rijndelta’. The decision for LNG to fuel the new vessel was made very conscious. Arie Faasse, Managing Director of Van der Kamp: “We perform maintenance dredging activities in the Ports of Rotterdam, Hamburg and Eemshaven. Focus on the environment and reduction of emissions is very important , especially close to densely populated cities. Working increasingly cleaner, is our clear incentive to invest in LNG for our new dredger”.